Posted on June 22, 2015	by Rev. Joe Jagodensky, SDS. They are the connections that bring the two parts of your shirt together or the decoration on your blouse. They are the four things on a sport coat that serve no purpose but to play with during a boring meeting. A red-haired comedian had the name and Brad Pratt played one backwards which always brings tears to my eyes. They are most importantly the buttons gained after many years with someone you care love. Family or friendship, we can silently list the buttons at our ready to pull off at any given moment. The longer the relationship the more buttons from which to choose. A heated argument can trigger a button to be tossed but then wisely refrained. 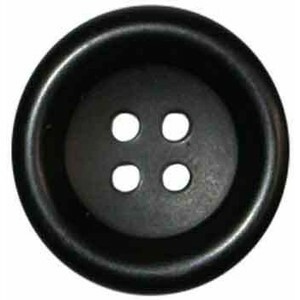 A friend throws you a button and you toss two buttons to him. With another drink between the them, they peacefully hug and tug those buttons away for another occasion. We desperately need gun control and we also need button control. You’ve garnered buttons private stories shared twenty or more years ago and you haven’t forgotten them. A shared episode between two friends becomes a button ( or is it a bullet?). When a button is retrieved and thrown while in frustration or revenge it pierces greater than a bullet because there is no ER doctor to help. Its powers sears through you and makes you numb. You consider slinging a button of your own but pause or forget the pause and pitch one button back at him. Twenty years of marriage creates lots of buttons that are safely tucked away from children’s use until a divorce arrives and all the buttons are tossed and turned and strewn all around a lawyer’s desk, as though he cares. I don’t recall ever throwing a button with long time acquaintances but only they can tell if I’m wrong. I’ve had buttons thrown back at me but usually in a heated moment when my forgiving and healing is easy. We know the bonds that bind us while we always have our two shooter buttons strapped to our hip. The trick in friendship or marriage is to know that the buttons work and the power that they have but to work more earnestly on creating bows that outnumbered them. The buttons we hear or tell hurt greatly and the bows we see are beautiful.